Discover the beauties of the spice trading road and its colourful markets with the amazing artwork by international renowned artist Fernanda Suarez. Wrap your mind around simple and pure game mechanics combined with a touch of deck-building system that lead to endless strategies and decisions. 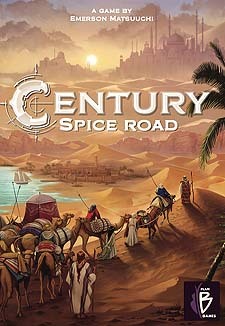 Century Spice Road is truly an outstanding game.